So you want to be royal? Evi offers the Royal Family set. 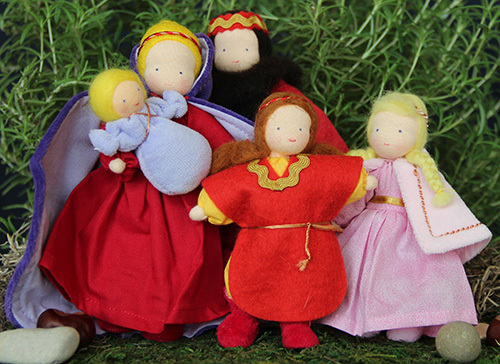 A sweet, warm Waldorf doll family filled with fluffy wool stuffing. These dolls can be posed, flexible bendy dolls. Royal family includes the King, the Queen, prince, princess and the royal baby. Adult dolls are approximately 5.5".